Join us for the 25th anniversary of the NHA’s Festival of Trees Preview Party. This event is the most sought after ticket of Nantucket’s holiday season. 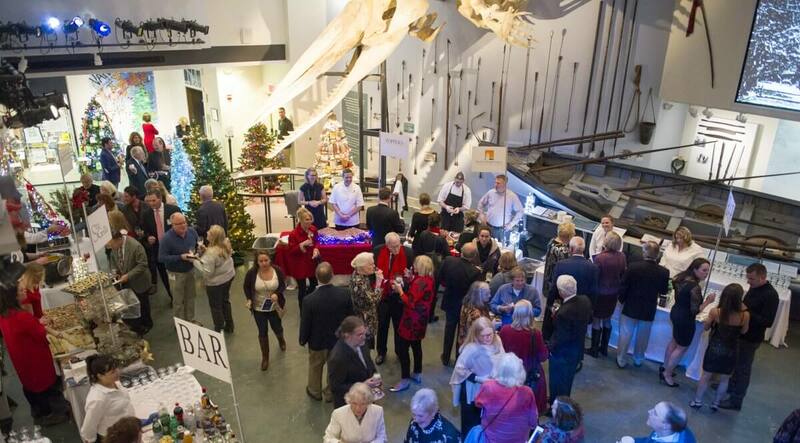 View beautifully decorated trees in the Whaling Museum before the show opens to the public, enjoy heavy hors d’oeuvres courtesy of Nantucket restaurants, a champagne toast, cocktails and plenty of holiday cheer. Tickets do sell out! The Festival of Trees is the NHA’s highly anticipated holiday tradition that begins during Nantucket’s Stroll weekend and transforms the Whaling Museum into a festive winter wonderland for the entire month of December! This event features community-crafted trees designed by local merchants, nonprofit organizations, artists and children.